UMRP is a collaboration between Université Mohammed VI Polytechnique and the Massachusetts Institute of Technology that launched in 2016 to create knowledge and human expertise for a future of sustainable development in Africa. In water management and climate change, precision agriculture, industrial optimization, green chemistry, smart urbanization and more, our vibrant community of MIT faculty-student project teams also engages closely with colleagues at UM6P to help build capacity at Morocco's new flagship African university for the 21st Century. 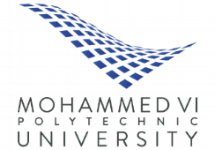 Learn more about Université Mohammed VI Polytechnique in Ben Guerir, Morocco. Learn more about the Massachusetts Institute of Technology in Cambridge, Massacusetts.